In our rural African village, getting men to attend church is about as easy as keeping mosquitoes out with a chain link fence. And since it’s summer here and our house lies next to a stagnant river, this metaphor is painfully fitting. When visiting in the village, I find it difficult to keep the men engaged in conversation. So I like to start with a question that makes them squirm a bit: “Why are most African churches filled with women and children but devoid of men?” They will no doubt laugh, which is how Africans display embarrassment and unease. It is rare to get any farther than the initial question since the same things that keep them from church are what keeps them from following the logic of my question—you are one of these men that has no interest in spiritual things. Our church has a healthy number of male believers in their twenties, but husbands and fathers with jobs? Zero. That is until this past Sunday, when Jerry Solane Maluleke professed faith in Christ through baptism. How hard is it to find real male conversions in the village? What if I told you my colleague Seth has had only one after nine years of ministry, and that convert was sadly killed in a traffic accident several years ago? What if I told you foreign pastors commonly assail our region of Africa to hold one-week crusades in English where scores of men make professions of faith, but church attendance never rises? 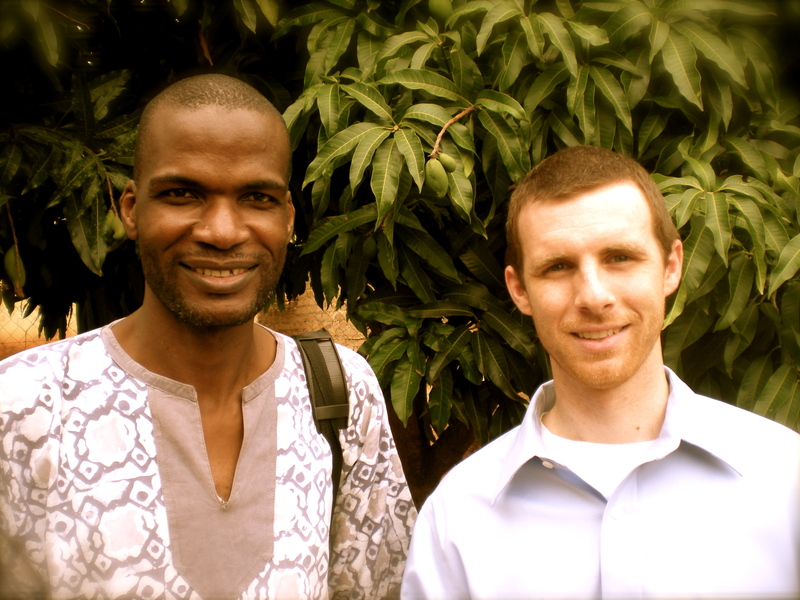 What if I told you the events that preceded Solane’s baptism were four years of interaction, hundreds of Tsonga Bible studies, and endless questions about the gospel? Isn’t this kind of dogged persistence in evangelism the pattern of Scripture? Paul reasoned “daily” for two years with seekers of the Truth (Acts 19:9) and later another three years of tearful admonition (Acts 20:31). Jesus sat in the temple teaching “day after day” (Mat. 26:55). We are commanded to preach in season and out (2 Tim. 4:2). There are many reasons all of this effort has been worth it. We have confidence that Mr. Maluleke has truly been converted, exchanging the Pharisee’s righteousness for the publican’s humility. His wife will be baptized very soon. Members and neighbors are being influenced by his testimony. Pray for us that we would persevere in our teaching and that God would add to our churches a hundred more Solane’s who have discovered the treasure in the field and know that God’s pearl is theirs. This is theology with shoes on! Born up with hope that some–many–will follow this same path, we can keep on going. May God bless your ongoing efforts, and Solane’s steady growth. God bless you! Praise God for this long-awaited fruit with Solane. May this be the first of many! Wonderul Paul. We are glad with you. You are constantly in my prayers. Keep on labouring in the Lord’s field. You will bring in the sheaves with rejoicing.